Though your iPhone or iPod can be synchronized with iTunes, you can have problems if you try to use it with more than one copy of iTunes or on more than one computer. TuneAid helps you easily solve that issue. TuneAid connects to your device and displays its content (namely music and video) organized in a similar way to that of iTunes: a list of audio and video files you can sort by artist, song, album and more. You can then select certain songs (or simply all of them) and copy them straight away from TuneAid to your Mac. 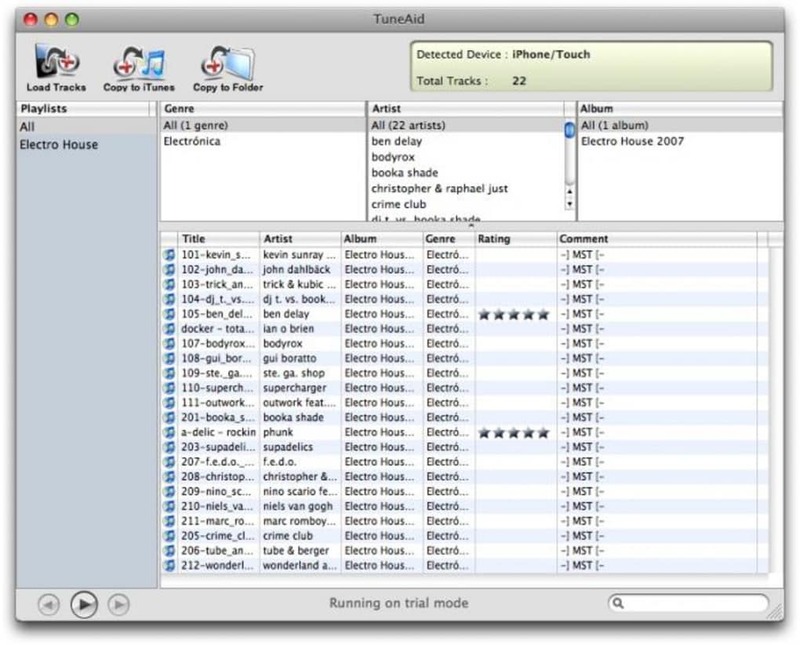 TuneAid can copy the content to any folder on Finder or directly to your iTunes library. It comes really handy not only to transfer songs from one computer to another, but also as a backup copy. Just make sure your device is not protected by an access code: my iPhone was and it took me ages to figure out why TuneAid wasn't detecting it. 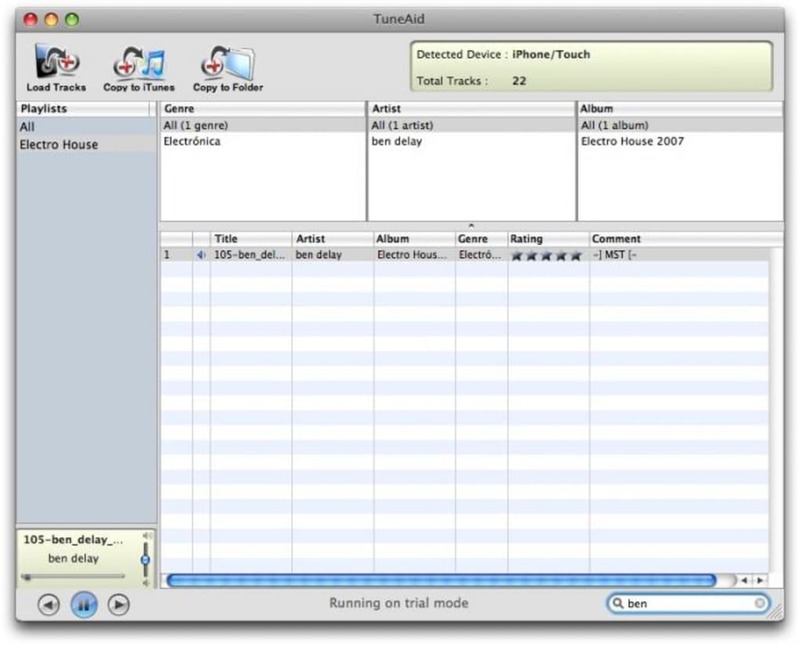 With TuneAid you can easily copy and transfer the content of your iPhone or iPod between different computers. Minor bug fixes: better iPod Database parsing, import tracks "Last Played Date" in iTunes. What do you think about TuneAid? Do you recommend it? Why?